Deli is an office supply manufacturer in China. We mainly provide office supplies such as pocket calculator, paper shredder and adhesives. The picture shown left is our file cupboard. If you click the icons below this picture, you will find other related products. They can meet your different needs in office, school or at home. Welcome to choose! Thanks! 1. Material: PP, ABS, PS materials. 2. The drawer is easy to be pulled out or pushed in. 3. The locked core of the file cupboard is easy to be turned around. 4. The surface of the filing cabinet is smooth and will not deformed. 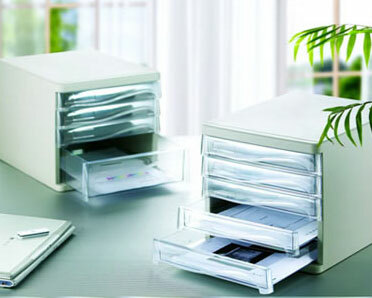 A necessary office products for stock and sort out various files and archives. » Paper Shredder 1. Case material: Cold rolled steel. 2. Longer paper-inlet. and paper deflector is equipped. » Laminator 1. Stable laminating: no bubbles and no deformation. 2. High speed reheating, heat output and laminating. 3. Environmental protective and energy saving. Low noise.